Increasing numbers of tourists are heading to the Austrian Alps, a trend highlighted by last year’s ski season. 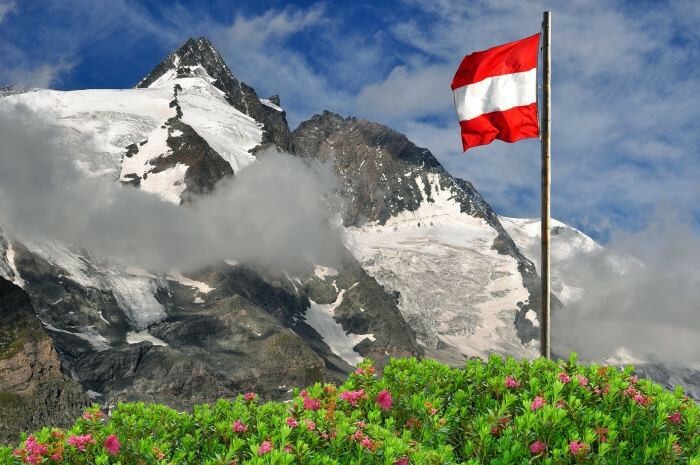 Statistics Austria recorded 49 million overnight stays from November last year to February of this year, representing a record growth of 5.7% compared with the previous year. “The greatest increase of interest in accommodations was for commercially rented apartments, by almost 13 %,” specified Jan Rejcha of Rellox, which specializes in sales of real estate abroad. New apartments are being built in attractive resorts, ensuring high occupation rates in both the summer and winter seasons. First-rate amenities and luxurious hotel facilities and services are a given. Which interesting developments are current on sale? This is a new development of luxurious and comfortable apartments in an attractive location just a few steps from the cable car. The project includes a total of 45 apartments and 8 penthouses priced from EUR 562 800 excluding VAT. All owners and guests will be offered 4* hotel services - luxurious wellness with indoor and outdoor pools and several saunas, fitness, massages, restaurants, breakfast service, reception, etc. Apartments are for sale to private ownership; however, the owner of the property is obliged to this rent the property commercially. The apartment owner receives an attractive rental yield. Completion of the project is expected in December 2020. Currently, 4* apartments with 1 – 4 bedrooms are under construction near the Zugspitze glacier in the alpine town of Ehrwald, priced from EUR 312,500 excluding VAT. The resort includes a restaurant, fitness center, wellness and a pool. Completion is planned for May 2019. “The anticipated yield on rental is 4.3 % of the purchase price of the property, after deduction of operating expenses and before taxes,” adds Jan Rejcha. Construction of comfortable 4* apartments will also commence in spring 2019 in the Saalbach/Hinterglemm region. They will include luxurious facilities, including 2 restaurants, fitness, spa, saunas and a pool. Prices start at EUR 239,900 excluding VAT, and the earnings in the first year are expected to be 4.14 %. The great news is that a connection to the Zell am See area is planned, creating one of the largest ski areas in the world. This is a new 4* apartment development near the center of Zell am See with a wide assortment of restaurants, bars and shops. The development includes 28 fully-equipped apartments, a large wellness center that includes a heated indoor pool, sauna and fitness center. The ground floor of the complex will feature a restaurant and ski bar. Price range from EUR 322,000 to EUR 812,000 EUR excluding VAT. The resort will open to guests and owners in December 2019. This development in the heart of the world-renowned Zillertal offers a guaranteed annual yield on rental of 4 %. The development of 10 apartments with a restaurant and wellness facility should be completed in December 2019. A fully-equipped one-bedroom apartment with a parking space is available for EUR 340 400. In Obergurglu at an elevation of 1,930 m.a.s.l., nicknamed the Diamond of the Alps, we are offering a new development that has already been completed and promises guaranteed returns of 4% on rentals. New developments for sale to foreign owners are very scarce in this area, so only a few of the lucky people become owners here. You can now purchase a new apartment here for EUR 426,400 excluding VAT. We would like to introduce you an exciting investment opportunity in a new luxury apartment resort in Lech, a part of Ski Arlberg. The biggest ski resort in Austria guards its reputation of an exclusive high‑quality resort equipped with a wellness centre with a pool, a sauna, a hammam and a relaxation room. The new apartments are to be sold into private hands and their use must combine rent with the owners’ personal purposes. The prices start at 1 485 000 EUR. The construction has already started and is expected to finish in December 2019. The buyer does not pay any brokerage fee. A new apartment project is planned for Mühlbach am Hochkönig in autumn 2019. The region is a part of the Ski Amadé resort and i tis quite a popular destination for family holidays. The apartments are situated in the centre of Mühlbach am Hochkönig, only a few‑minute walk from the Hochkönig Bergbahnen lift station. They come fully furnished with a parking place included and should like to include a sauna in yours, that can be arranged as well. They are sold into private hands and their use must combine rent with the owner’s personal purposes. The estimated revenue from rent before taxation and after deducting operating costs reaches up to 3.11% The prices start at 174 000 EUR. The buyer does not pay any brokerage fee. "Apartments are sold into private ownership and for a subsequent combination of their owner use and further rental. A designated operating company takes care of the overall property management and further rental. All without worry for the owner. It is an increasingly popular concept of investment in real estate abroad," concludes Jan Rejcha.